7 Ways to Save this Summer Vacation! Keep an eye out now for daily deals from LivingSocial, Groupon and others offering significant discounts on water parks, guided tours and many of the activities you know you love when traveling! You can save from 50 to 75% off face value tickets by purchasing through one of the daily deal providers. 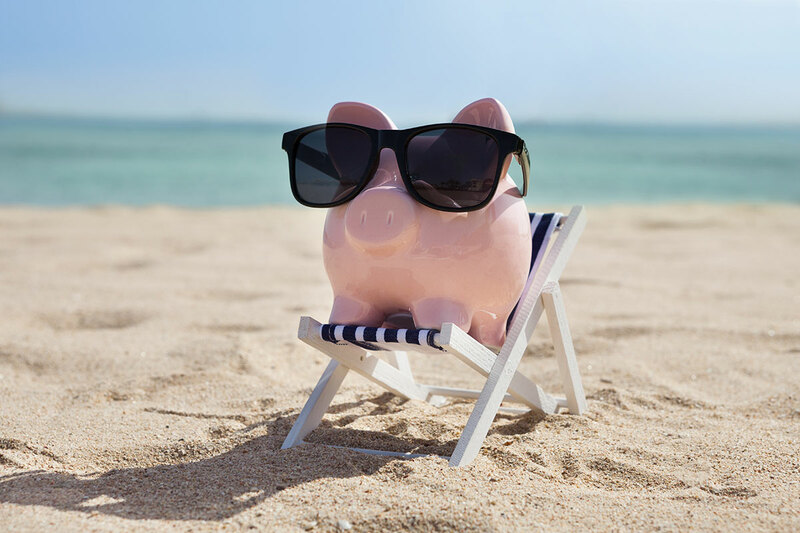 That’s cash back in your pocket this summer vacation. You might not be familiar with the term ‘Victory Garden’, but a quick Google search will correct that. Essentially Victory gardens were started during WWII in response to limited availability of fresh produce given the wartime needs. We might not be in the same situation, but the basic premise applies; why pay $5 for one bag of spinach, when you can purchase a packet of seeds for $2 and have fresh spinach all summer long? May sound silly, but when you adjust the thermostat even a degree or two, the implications on your electric bill can be huge. One great money saving tip; Either invest in an automatic programmable thermostat and leave the dial alone, or get everyone on board with specific temperatures to keep the air conditioning consistent and your bill low. With gas continuing to climb, as it does every summer, it’s always good to plan ahead and try to carpool when an option. If the kids are in summer camp, discuss with the other parents and set up a carpool schedule. Depending on where you live, there are great discounts from public transportation available on the weekends, too. If you haven’t already, now is the time to book your summer travel. Availability will become more limited every day that passes further into summer. Many hotels have adjustable rates dependent on vacancy, as do airlines. When rooms and flights book up, the prices can climb pretty steep and very quickly, so book now to save big on your accommodations and air travel with this summer money saving tip. If you’re a struggling student, going to school and working a few jobs this summer, or if you’re an active military member (from all of us at AmeriCash Loans, thank you for your service), make the most of the student and military discounts offered at most ticketed venues to save even more. You’ve earned it, so use it! With ride sharing options like Uber and Lyft continuing to grow in popularity, and room sharing (hmmm…) options like Airbnb and HomeAway also seeing more and more rooms booked, maybe it’s time to consider the benefits and utilize one of these great services. If not these, then create your own outside of the box summer vacation or stay-cation ideas and start saving this summer! Be sure to share your great ideas and summer money saving tips with AmeriCash Loans by commenting below or on Facebook and Twitter!